MARCH 14, 2013 (VATICAN CITY) — Patrick Novecosky, editor of this blog and editor-in-chief of Legatus magazine, was a guest live from Vatican City on Iowa Catholic Radio in Des Moines, Iowa, this morning. 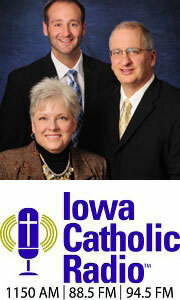 He appeared on the Catholic Radio Iowa Morning Show with Jon Leonetti and Jeanne Wells. They asked Patrick about the history-making election of Pope Francis and what it was like to be at the Vatican when the decision was made.